Last year I was lucky enough to be sent a selection of herbs from Scotherbs in celebration of becoming their 400th Facebook liker! Included in the box were young Red Chard leaves. Having only ever eaten mature Chard, with its huge crinkly leaves, this was a special treat. 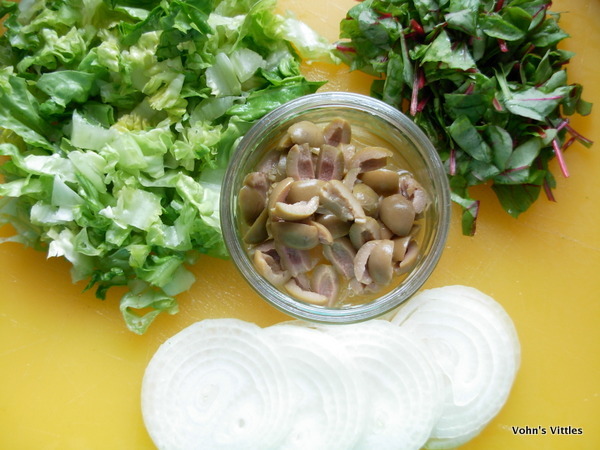 Slice the onion and olives. 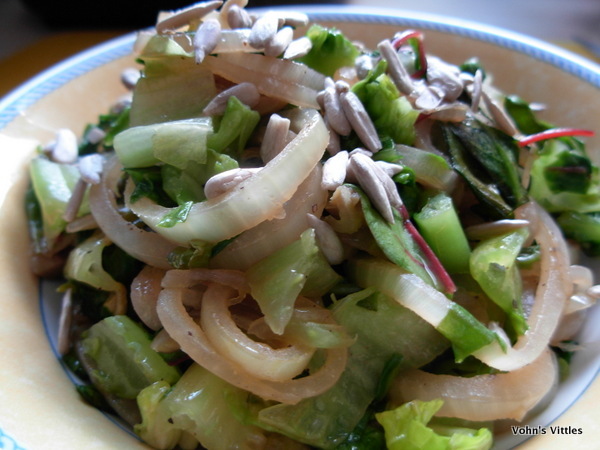 Shred the chard & lettuce. 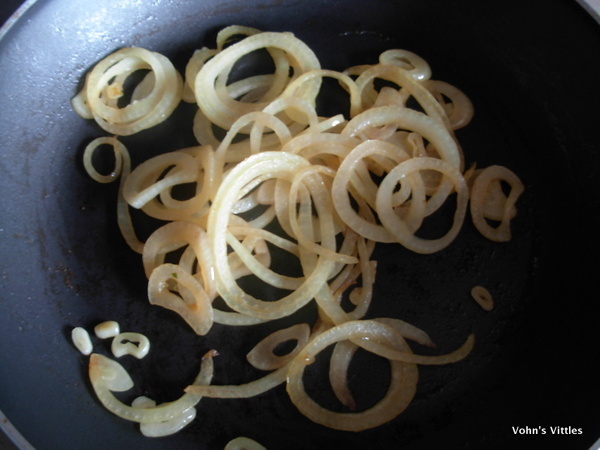 Heat the oil in a frying pan and fry the onion until soft and starting to brown. 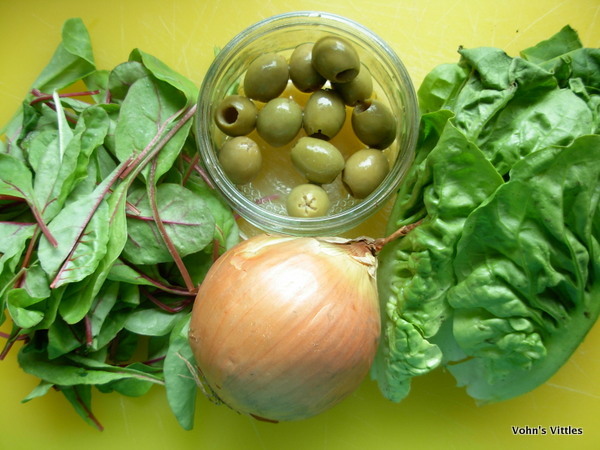 Add in the Chard, lettuce & olives and toss for about 30 seconds to mix, wilt slightly and heat through. Spoon into a serving bowl. 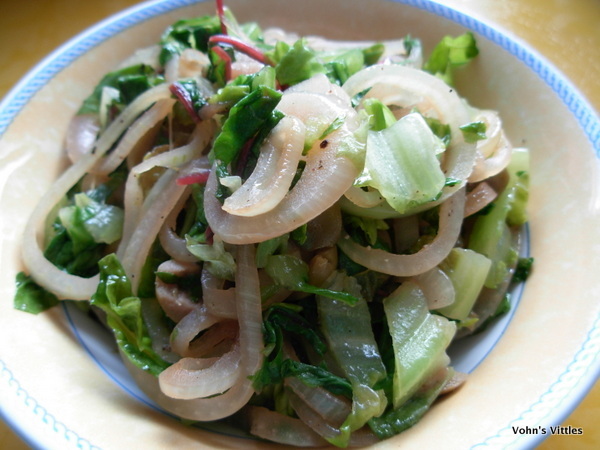 Enjoy your quick, easy, healthy and delicious lunch! 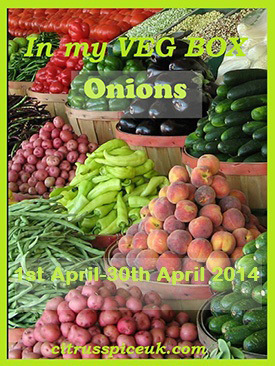 The In My Veg Box challenge run by Nanya over at CitrusSpice is guest hosted by Tina of The Spicy Pear this month and her theme is onions! 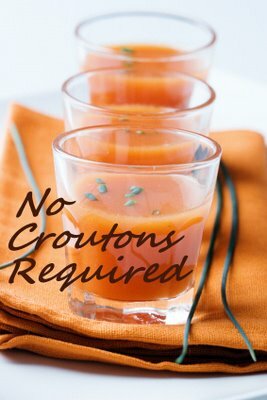 The No Croutons Required challenge run by Jac at Tinned Tomatoes and Lisa from Lisa’s Kitchen, with Jac hosting this month. 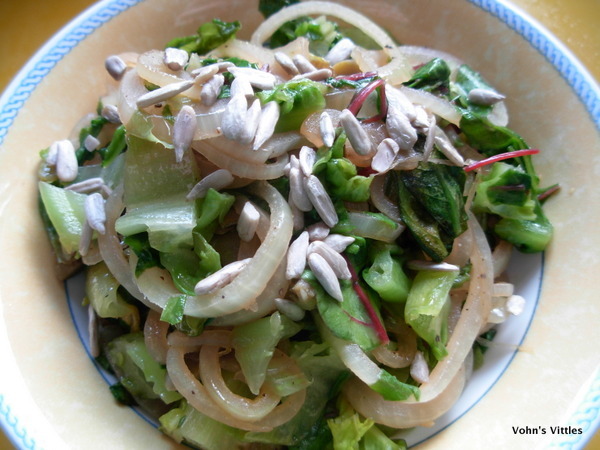 This challenge is all about vegetarian soups and salads, so my salad is perfect for it, in fact this salad is suitable for vegans too!